Over the years, we have seen many improvements made to vehicles in terms of safety features. However, if you are involved in a vehicle accident, the injuries you sustain may be the result of safety features that did not perform as designed and failed to protect you. The structure of a vehicle and its built-in restraints, such as airbags and seatbelts, are features that determine its crashworthiness, which is the ability to protect occupants in the event of an accident. The framework of the vehicle should act like a strong safety cage. For example, the roof must be designed to withstand a collapse in a rollover accident. On the other hand, cars today are also designed with crumple or crush zones, which, because they are made to absorb some of the energy of an impact, will deform or crumple during a crash. The goal is to keep as much of that damaging energy as possible away from the driver and passengers. Safety features are continuing to get good marks in passenger vehicle tests; for instance, most models do well relative to the protection afforded to occupants during frontal crash tests. Airbags, however, which have certainly reduced fatality rates, are expensive to manufacture. Some companies do what they can to cut down on the expense in favor of earning higher profits, a practice that can result in defects and danger to vehicle occupants. Door latches can disengage during a crash, and seatbacks can collapse. A personal injury attorney can tell you that defects in the safety features that are supposed to protect occupants can be deadly. Fault for a vehicle crash may not necessarily be assigned just to the driver who caused your injuries. A thorough investigation might point to a crashworthy feature, such as an airbag or door latch, that did not do its job. There is such a thing as product liability law, and the manufacturer of the defective part may be the negligent party. 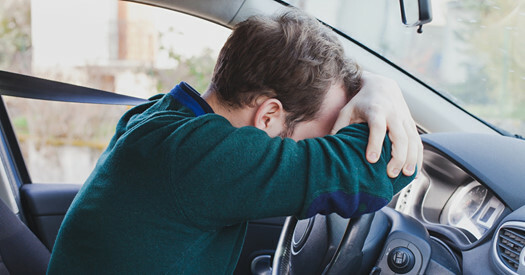 As the victim of the crash, you are entitled to full and fair compensation from any party that is found to bear some responsibility for your injuries.